Further to the piece below by Dave Checkley (12th February 2009), we are pleased to announce that the Gaping Gill volume of the Eli Simpson Archive has been digitised by the British Geological Survey, and is available on-line on the BCRA Archives Web Site. Bob McIntosh, Alan Jeffreys, and John Manchip are steadily digitising the rest of the volumes, and the progress so far may be viewed here. Over time, the British Caving Library has been given a number of collections of caving material belonging to once active cavers. We will catalogue it all over time, and provide online access to some of it. However, it dawned on us that it was difficult for researchers and cavers to know what material does exist and is available. A lot of similar collections have also found good homes in caving club libraries, county record offices, museums, and various archives, and we don't want the caving world to forget about them. We have, therefore, started off an embryonic online registry of UK caving collections, which may be found here. It is embryonic in that there are a lot of collections out there which we have not identified, and the accuracy of some of the information currently provided is suspect. Thus, there is an assumption that the original material made available on the MCRA website is held by the MCRA - which we know is not the case. We would, therefore, welcome additions and corrections to the register so that it can become a genuinely useful resource. An email address is provide on the page. Finally - a plea. If you know of a collection that has not found a good home where it can become available, please find a good home for it and let us know where it may be found. The BCL is a willing recipient. The old BCRA library material has now been removed altogether from the Local Studies Library at Matlock and has been transferred to the British Caving Library (BCL) at Glutton Bridge. So BCRA's connection with Matlock has now ceased and our thanks go to the staff at the Local Studies Library who have looked after the BCRA material since 1980 and have made it available to cavers. As the old BCRA Library is being merged with more recent material to become BCL it has become essential to re-catalogue all our holdings of books, periodicals, surveys, etc. and this is being done as fast as we can. In the process we are finding duplicates of some items, which we are happy to give away in return for a donation - many cavers will have acquired some of these items from our "lucky dip" boxes at Hidden Earth 2010 and there will be more at Hidden Earth 2011. As we work through, more duplicates are coming to light and we would like to offer these to caving club libraries which need them to increase their own stock, so if you are a Club Librarian, please contact us. Eventually the more valuable duplicate items will go on sale with the proceeds going to buy more items for BCL. We are grateful to those cavers who have recently donated their personal holdings to BCL - in the process some extremely interesting and unique items have come to light. We are happy to receive visitors at at the Glutton Bridge premises but you do need to let us know in advance as the Library is not staffed full-time, though we can make arrangements for you to visit at any time best suited to you. We also welcome volunteers to help with our work so, if you are interested, please contact us. We have been informed by the Librarian at Derbyshire Local Studies Library that following a reorganisation they are no longer able to accommodate that part of the BCRA Library which is currently housed in Matlock. With this in mind, steps are afoot to move the material from Matlock to Glutton Bridge. This will result in the entire British Caving Library being on one site making its management much easier. 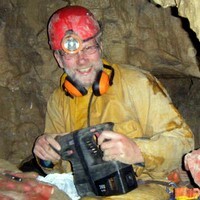 We have added a Caving Audio Archives to the website, which may be visited here. There are currently 223 interviews given by 78 interviewees, lasting over 34¼ hours. The interviewees include such notable cavers as Herbert Balch, Eric Hensler, Bob Leakey, and Ken Pearce. None of the interviews last for more than 15 minutes. More recordings are steadily being added from a stockpile, but many more are required! The recordings are held in MP3 format, and are available from both embedded technology and as downloadable files. We hope that you enjoy the recordings, and we very much look forward to your feedback as well as your contributions. Perhaps it is appropriate right at the start to make clear the nature of the archive. The archive includes all the original, unique data: the typed or hand written notes, the original surveys, the photographs and the negatives, for the exploration of British caves. It does not include any published material. Published material, however old, is for the library. We are fortunate in finding amongst the boxed library material many of the original record books, dating back to the 1930s, prepared by members of British caving's first national body, the British Speleological Association (BSA). These books are to form the core, of what we hope will develop into the National Caving Archive. BCRA and the BGS see this as the start of a unique, living record of cave exploration in Britain. As a first step agreement has been reached with the British Geological Survey (on the terms of transfer of the archive material to secure, temperature and humidity controlled storage, at their site in Keyworth, Nottingham. Given concerns of potential donors to the archive and possible issues around ownership, the transfer will be made on the basis of "indefinite transfer", without transfer of ownership. David Checkley and David Judson hope to shortly sign the Terms of Deposit and Memorandum of Understanding forms, on behalf of BCRA Council. Members of the BGS will also sign these forms. Dave Judson has completed the process of archiving (creating a special type of page by page catalogue) for the majority of the early BSA record books. This has been a painstaking labour of love, listing the contents of these fascinating books. The archive material will be available on line, on the BGS website, www.bgs.ac.uk. So for the first time cavers and the public will know the contents of these historic documents. They will also be able to access the archive record books, for reference, in the BGS library five days a week. Continued archiving by BCRA volunteers, of surveys and photographs currently in storage at Glutton Bridge. Once archived they will be transferred to the BGS. Transfer of the record books from Dave Judson's house to Glutton Bridge, for a publicity event to mark the start of the British Caving Archive. Transfer of this material to the BGS for a possible further publicity event. 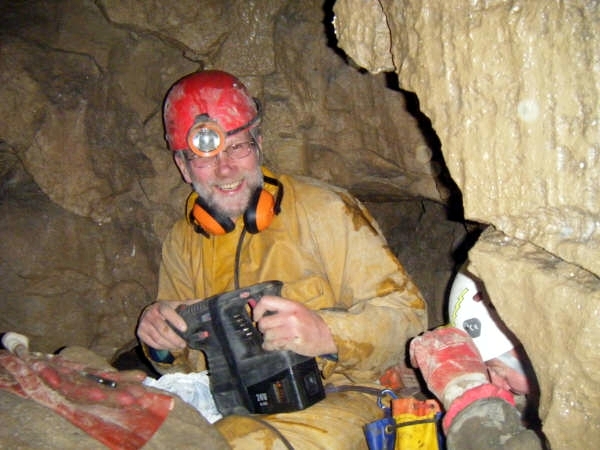 Establishment of the British Caving Archive website as part of the BGS website. Continued work on the joint application for funding to the Heritage Lottery Fund. This funding will be used to digitise key elements of the record books, photographs and surveys and make them available to the public, on the British Caving Archive website. Continued publicity by BCRA and the BGS to promote the British Caving Archive. I hope this gives a clear picture of where we are now and where we are going to, with the start of the British Caving Archive. We hope this will provide safe and protective storage for valuable historic material. We aim to make this material available to the public, for reference and on line, so that all of us can enjoy the fascinating stories of the exploration of British caves. The process of cataloguing all the material in the library is now nearing completion and is accessible from the online catalogue. Because the website and catalogue have only just become available, we welcome any feedback. Please let us have your views by contacting the librarian via the contact below. In the process of opening hundreds of boxes of previous uncatalogued books and journals, we have found many early records of caving in Britain. This material is fragile and much of it has never been published. We are hoping that it will form the nucleus of the National Caving Archive that will be housed in the British Geological Survey (BGS) headquarters in Keyworth, and will in time become available on the web. There will be a link to the BGS archive as soon as this becomes possible. Donations to the library are always welcome, so if you have new or old caving literature that you wish to donate, please contact the librarian.